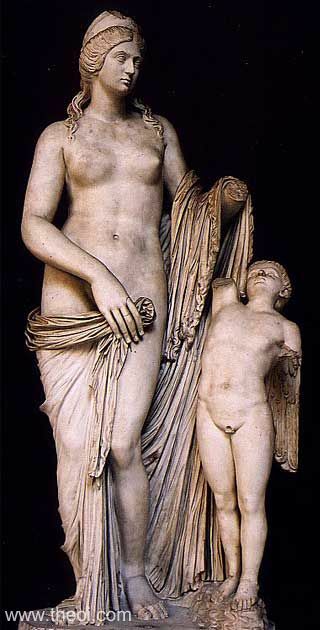 The goddess Aphrodite (Roman Venus) stands beside her son Eros (Roman Cupid). She is partially disrobed and wears a stephane crown. The winged god of love gazes up at his mother.